With all elements of house cleaning in every room as you clean dirt, dust and grime will, despite your best efforts fall downwards eventually ending up on the floor. You may use a duster and try to collect all dust but some will inevitably drift away. Crumbs and bits of food from surfaces in your kitchen and dining room you may try to collect with a cloth or dustpan but again some mess will always end up on the floor. This is why when doing your house cleaning cleaning your floors is the most important job. With tiles, wood and laminate floors cleaning them is relatively easy, though sometimes some scrubbing may be needed. With carpets trying to scrub can cause damage and it isn’t as simple as sweeping or vacuuming to get up all signs of dirt. Vacuum cleaning is important though and it is important to do it regularly to save you work long term. If you are cleaning rooms including wiping sides and dinging tables make sure that when you finish you always vacuum. Leaving dirt on the carpet will simply allow it to drift down into the carpet and get walked in. If any food is left on your carpet problems may well be worse and staining and odor may be difficult to remove once left. What about when your carpet is getting very dirty though, it might look a little grubby or it could be that it smells far from fresh. In either case a steam clean is going to be your first option, steam cleaning kills bacteria and loosens dirt, allowing small particles to then be vacuumed, steam can also get rid of general stains and tarnish, though may not always get up more stubborn stains. For house cleaning in general a steam cleaner is hugely useful and is an investment worth considering, though they are also available to hire or you may well have a friend who will lend one to you for your home cleaning. If you drop something on your carpet it can be a nightmare, you of course should act quickly but this may not be enough, its also often at the worst times, such as when you have guests over for dinner, that stains occur and though you’d like to drop everything and get down on your hand s and knees an start scrubbing you can’t. How to deal with a stain depends on the type of stain, for liquids such as wine and juice soaking up the moisture is important, if the moisture is soaked up before it can dry completely then there should be little staining. Use salt or soda crystals to soak up liquids but remove them and replace them several times in quick succession rather than letting the liquid dry within the slat crystals still on your carpet. With oil and food stains where the substance is oily the problem is oil clings and holds the stain with it. Although soap or washing up liquid can help Swarfega or other degreasers generally used in garages and auto-shops are useful to have around the home for house cleaning and take the grease and the stain right out of a carpet, as well as clothes and table clothes, ideally used before the oil dries on but even if a stain has gone unnoticed and been left. 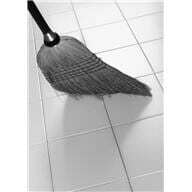 This entry was posted in Home Cleaning, House Cleaning, Maid Service. Bookmark the permalink.